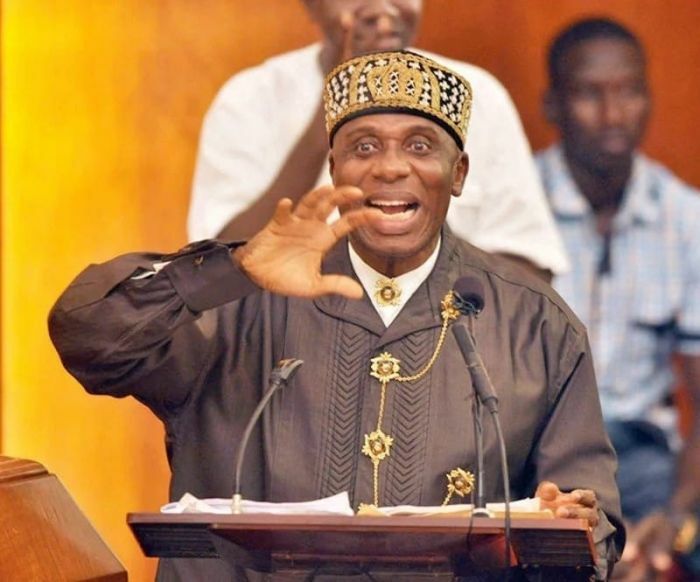 Mr. Chibuke Ameachi, Minister for Transportation and Director General (DG) of Buhari Campaign Organisation, has said the opposition People Democratic Party (PDP) was responsible for the current challenges Nigerians were passing through. Amaechi said this at the flag-off of Gov. Simon Lalong’s re-election bid on Friday in Jos. According to him, the hunger, poverty and under-development being faced in the country was because PDP diverted huge monies meant for the public into private use in its 16-year rule. “If today Nigerians are hungry, it is because in its 16-year rule, the PDP stole monies meant for development of critical sectors of the economy. “For 16 years, they gave us 3, 000 mega watts of electricity, today the current administration produces 7,000 mega watts. “Because they diverted huge public funds, we were importing rice, but today the story is different and our local farmers are smiling to the banks. “So, PDP is full of dishonest people and that is why they stole all our money,” he said. Amaechi, the immediate past governor of Rivers State, noted that to address poverty, hunger and under-development, the present government is working in that regard. He urged Plateau residents to vote President Mohammadu Buhari, and Lalong for a second term, adding that the forthcoming polls would be a tussle between the “greedy rich versus the poor masses”.